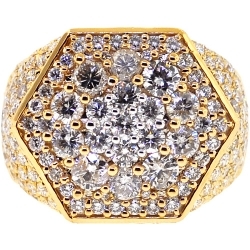 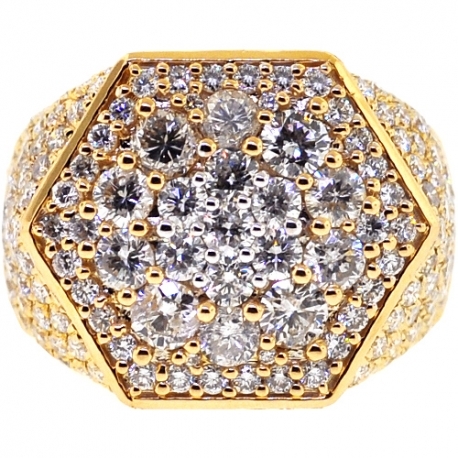 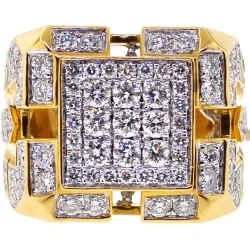 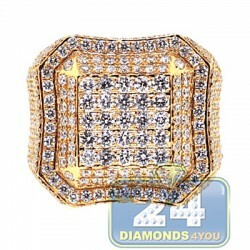 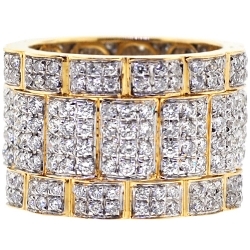 Express your sophisticated sense of style wearing our diamond hexagon ring! 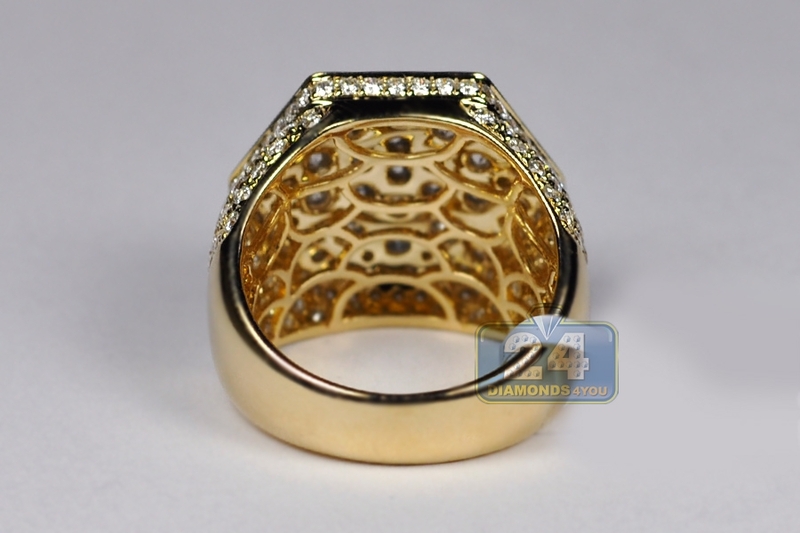 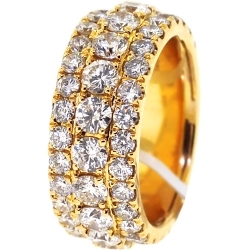 Expertly produced from solid 14k yellow gold, it is highly polished for ultra-smooth and sparkling finish. 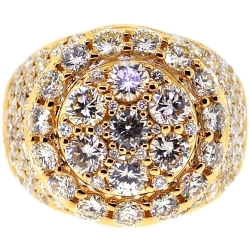 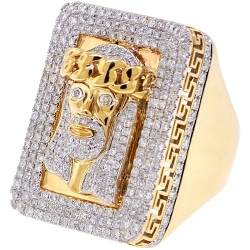 The top features an original hexagon shape that is encrusted with cluster of icy white round brilliant-cut genuine diamonds, all totaling 5.58 carats. 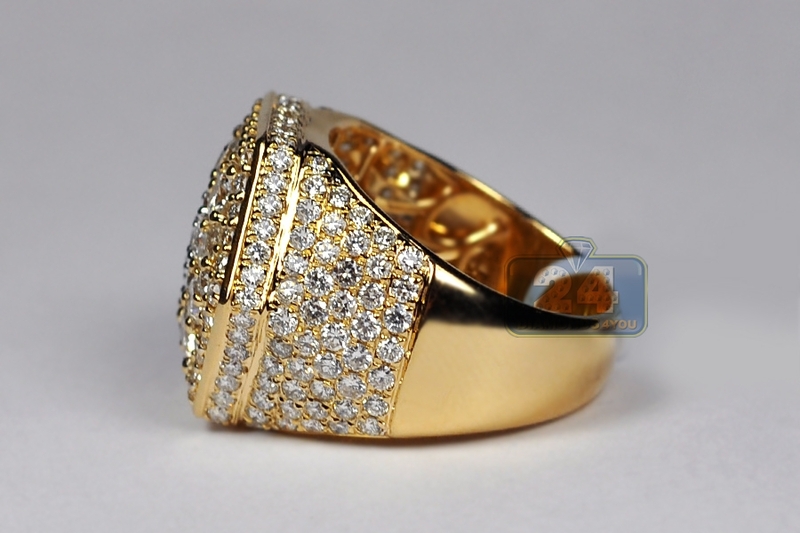 The head measures 19 x 22 mm, and the shank is 6 mm. 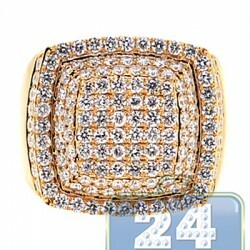 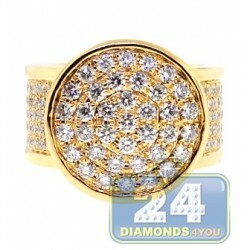 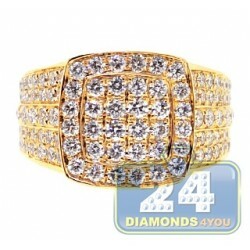 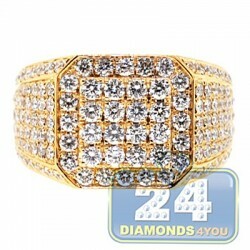 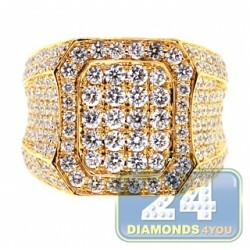 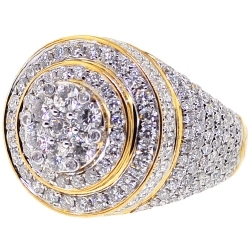 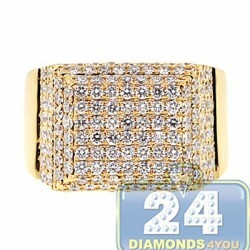 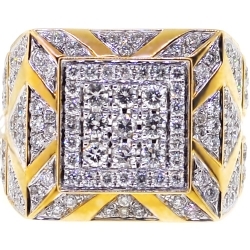 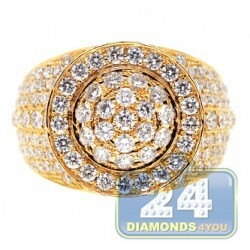 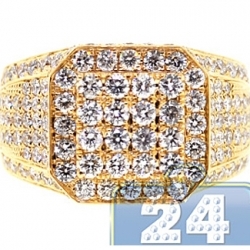 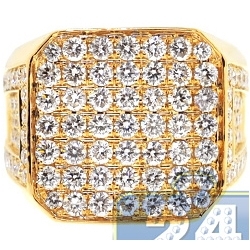 This men's diamond ring reaches the pinnacle of luxury! 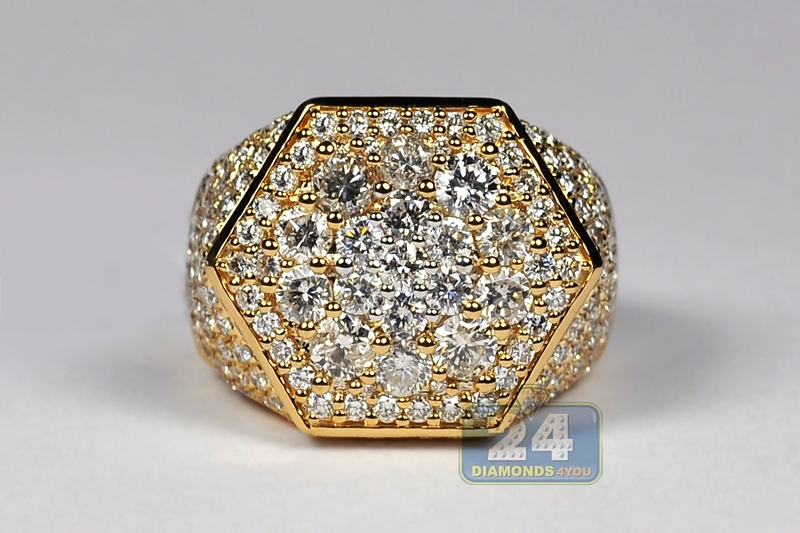 Impressive design and implementation. 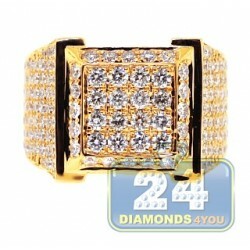 Very happy with this gift.